I have been going to the Tokyo Game Show since 2004. I believe this is the first year that Hideo Kojima is not appearing on stage. 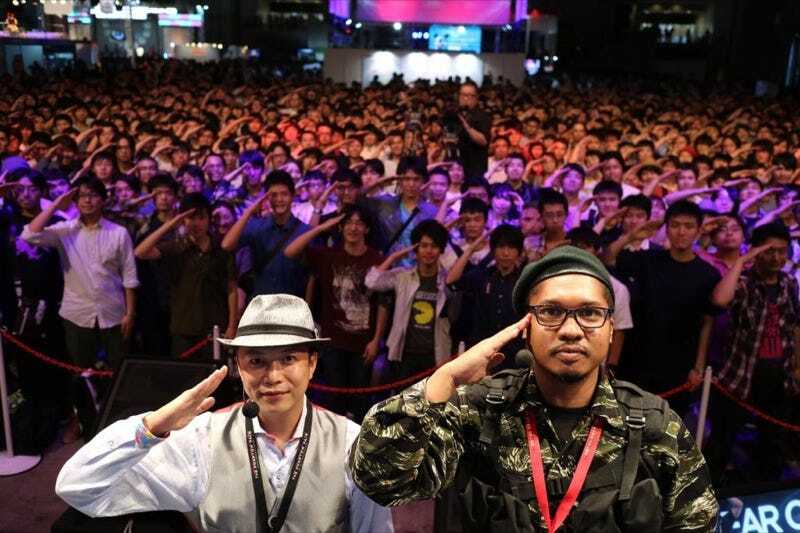 The odd thing—in a year of odd Konami things—is that Hideo Kojima was at this year’s Tokyo Game Show, but as a visitor. This reminds me of when Kojima recently wandered around Tokyo autographing things because there wasn’t a signing session set up for The Phantom Pain.